- Do you want to experience happiness?. - Are you stressed or anxious or depressed?. - Do you want to have more loving bonds with everyone around you?. - Are you always feeling drained?. - Do you want to be calm in any situation and solve it very smoothly?. - Do you want to take more rational, better & healthier decisions?. - Are you feeling stuck in life?. - Do you want to take control of your own life?. - Do you want to be positive and enjoy life more?. 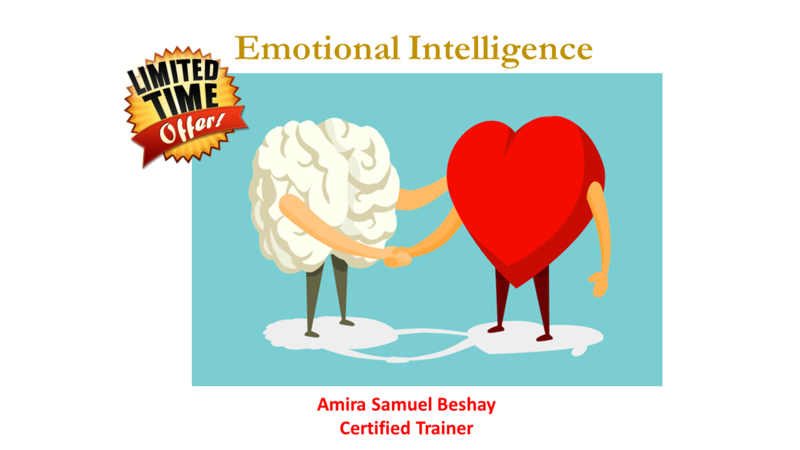 - Do you want to manage better your own emotions?. - Do you want to be more successful in your work & study?. - Do you want to discover and know yourself more?. - Do you want to have more balanced and fulfilling life?. - Do you want to resolve and manage the conflicts better?. - Do you want to achieve more in life?. - Do you want to be a better leader?. - Do you want to learn a new and important skill that will improve other important skills such as leadership, problem solving etc..?. If your answer is yes for one of these questions then I invite you to attend my interesting workshop. It means being aware that emotions can drive our behavior and impact people (positively and negatively), and learning how to manage those emotions – both our own and others – especially when we are under pressure. In other words, it is being smarter with our feelings and use emotions as data. Did you know that Emotional Intelligence is responsible of 90% of your happiness and success in life, while I.Q. only determines the remaining 10%. 🙋🏻Trainer: Amira Samuel Beshay, Certified trainer from the European Foundation for Quality Management (EFQM) in Belgium & from GIZ (Germany). 🕐Time: 3:00 PM - 8:00 PM. 🔔Registration: In order to register, pay the full cost at DietMed Center. Office hours: from Monday to Friday 9:30 am till 6:00 pm. Or by bank transfer or via Western Union.